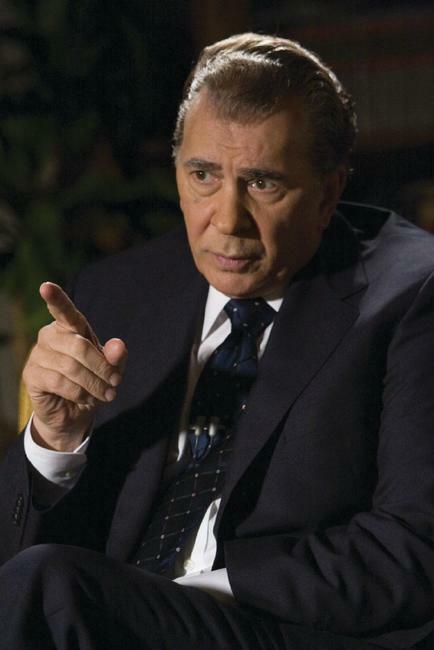 Frank Langella and Michael Sheen in "Frost/Nixon." 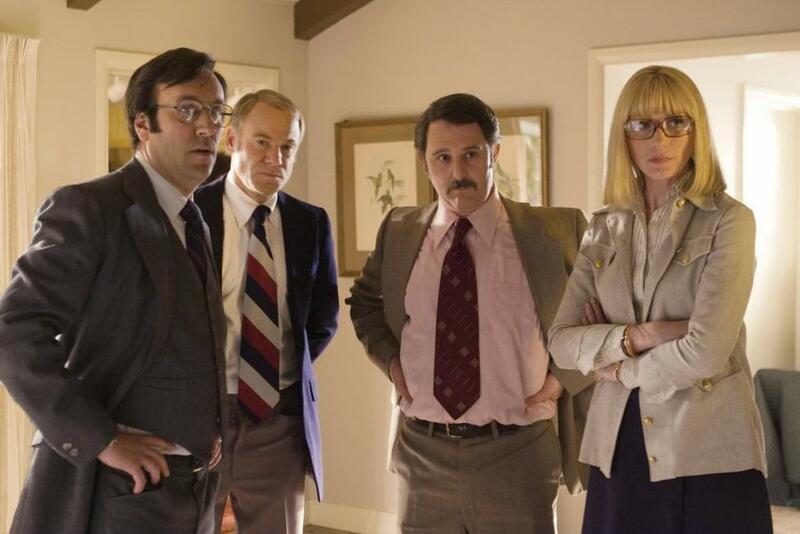 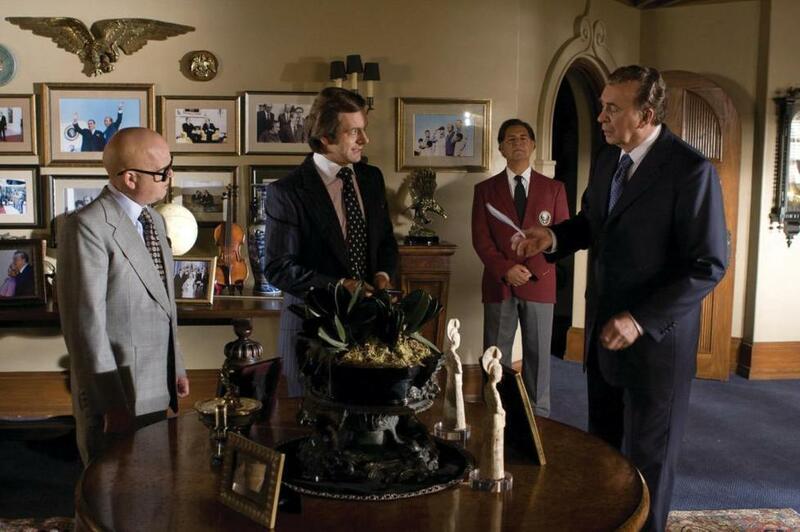 Kevin Bacon as Colonel Jack Brennan, Andy Milder as Frank Gannon, Gabriel Jarret as Ken Khachigian, Kate Jennings Grant as Diane Sawyer and Jim Meskimen as Ray Price in "Frost/Nixon." 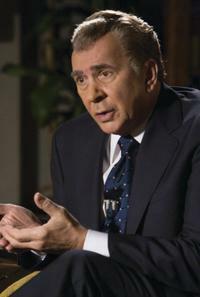 Frank Langella as Richard Nixon in "Frost/Nixon." 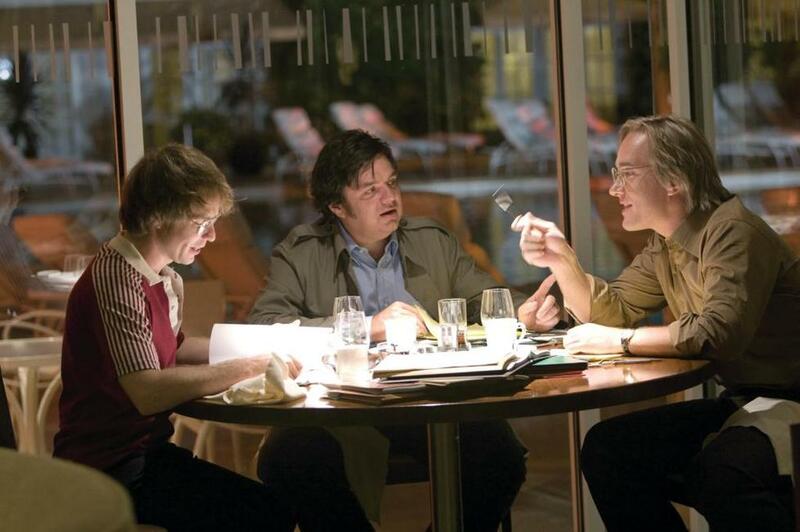 Sam Rockwell as James Reston, Jr., Oliver Platt as Bob Zelnick and Matthew Macfadyen as John Birt in "Frost/Nixon." 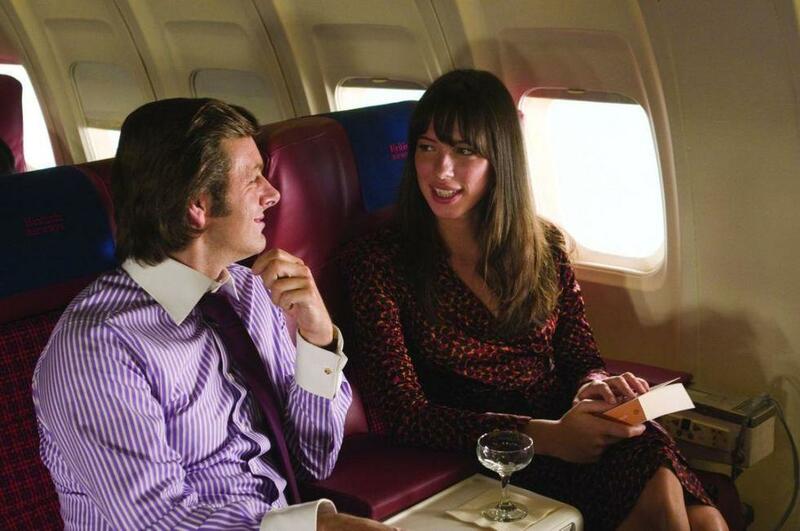 Rebecca Hall as Caroline Cushing in "Frost/Nixon." 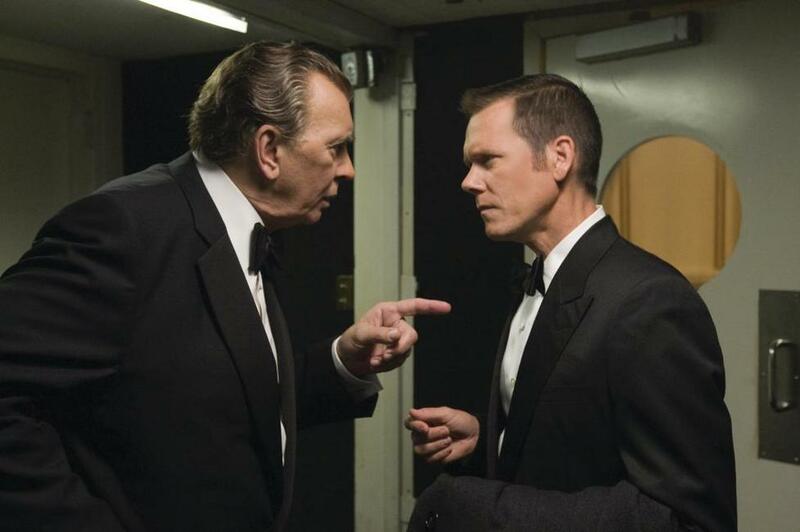 Frank Langella as Richard Nixon and Kevin Bacon as Colonel Jack Brennan in "Frost/Nixon." 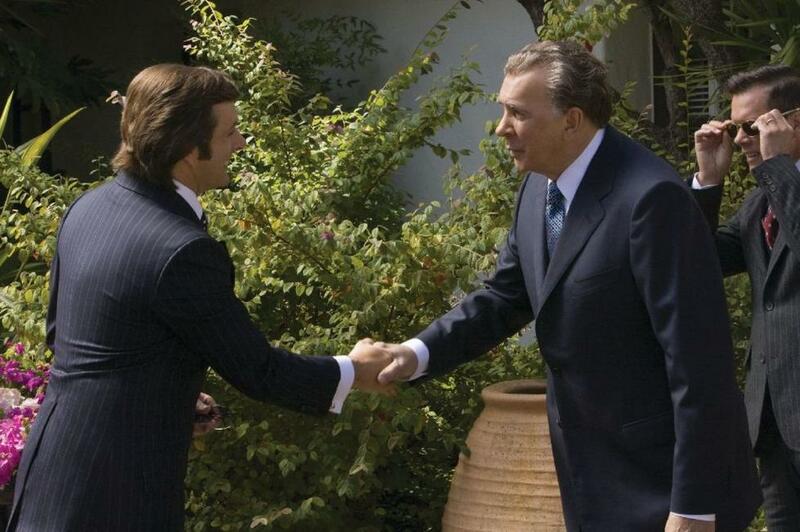 Michael Sheen as David Frost and Frank Langella as Richard Nixon in "Frost/Nixon." 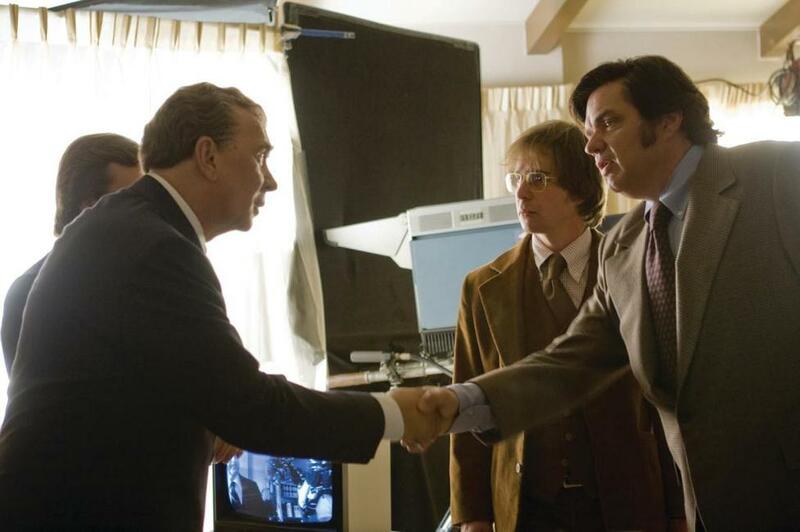 Oliver Platt as Bob Zelnick, Michael Sheen as David Frost, Sam Rockwell as James Reston, Jr. and Matthew Macfadyen as John Birt in "Frost/Nixon." 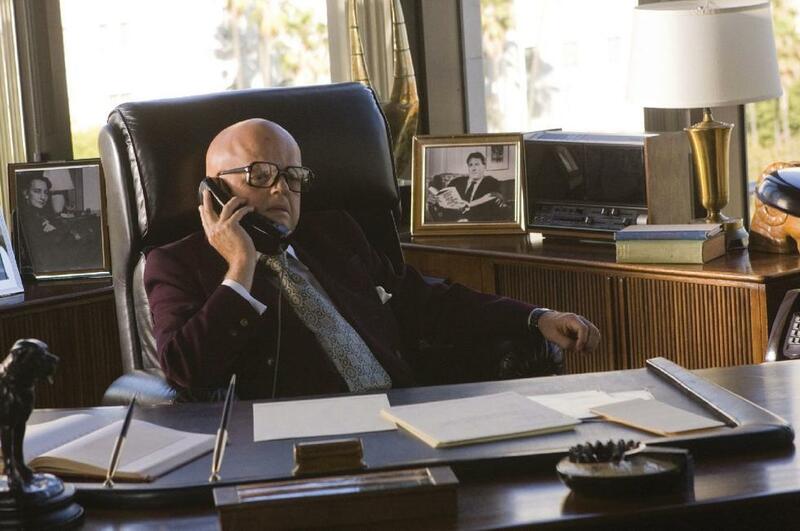 Toby Jones as Swifty Lazar in "Frost/Nixon." 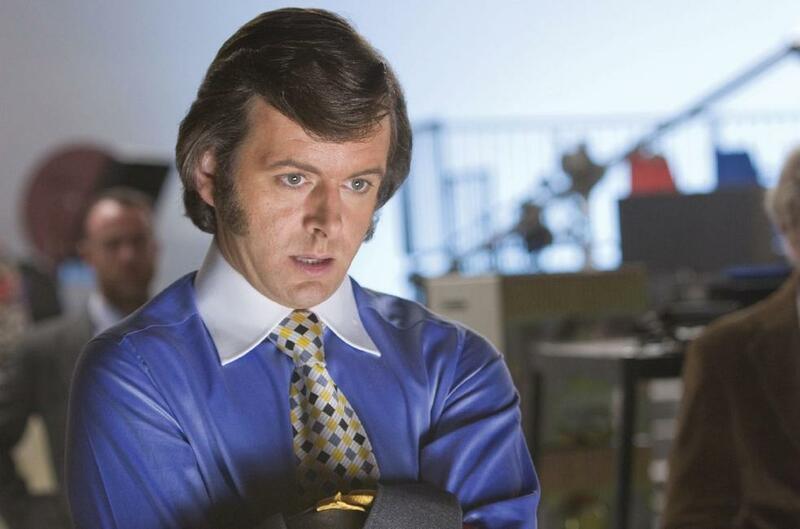 Michael Sheen as David Frost in "Frost/Nixon." 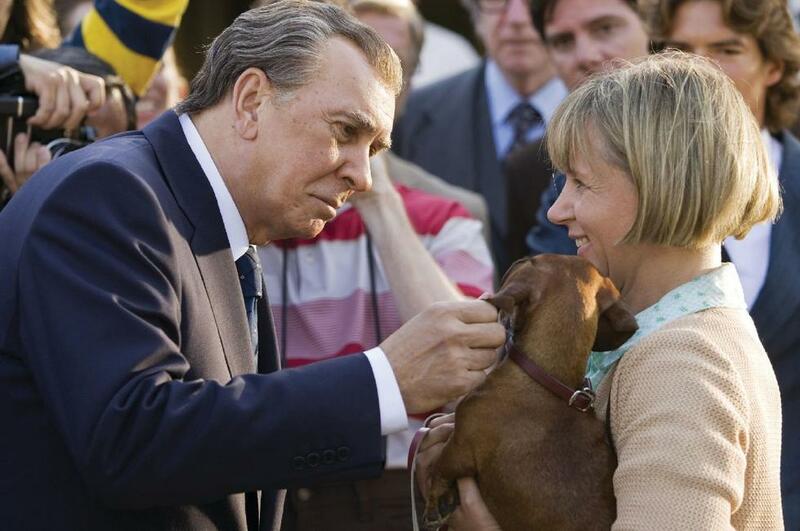 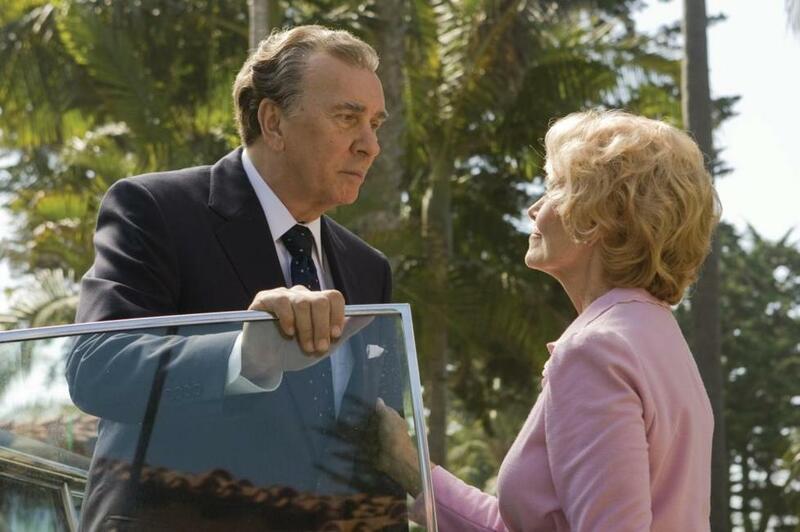 Frank Langella as Richard Nixon and Patty Mccormack as Pat in "Frost/Nixon." 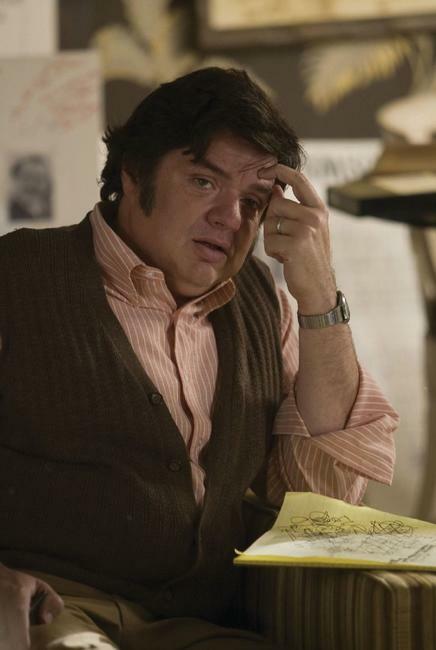 Oliver Platt as Bob Zelnick in "Frost/Nixon." 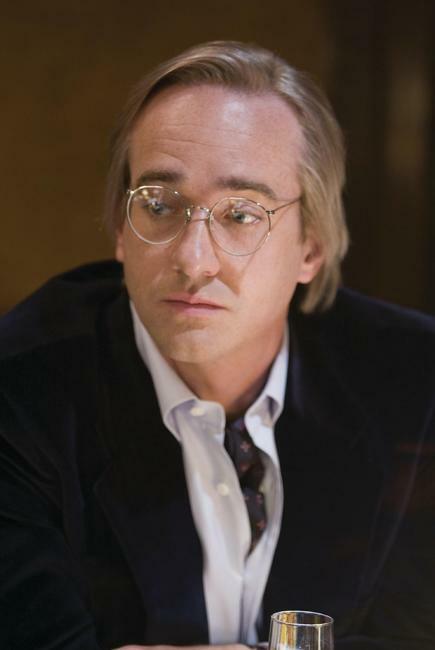 Matthew Macfadyen as John Birt in "Frost/Nixon." 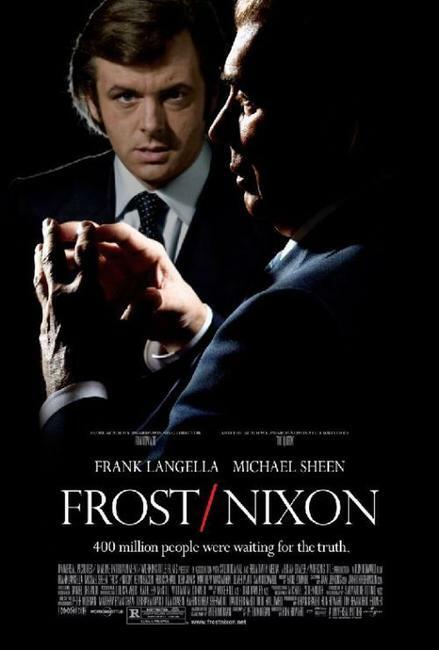 Michael Sheen as David Frost, Frank Langella as Richard Nixon, Sam Rockwell as James Reston, Jr. and Oliver Platt as Bob Zelnick in "Frost/Nixon." 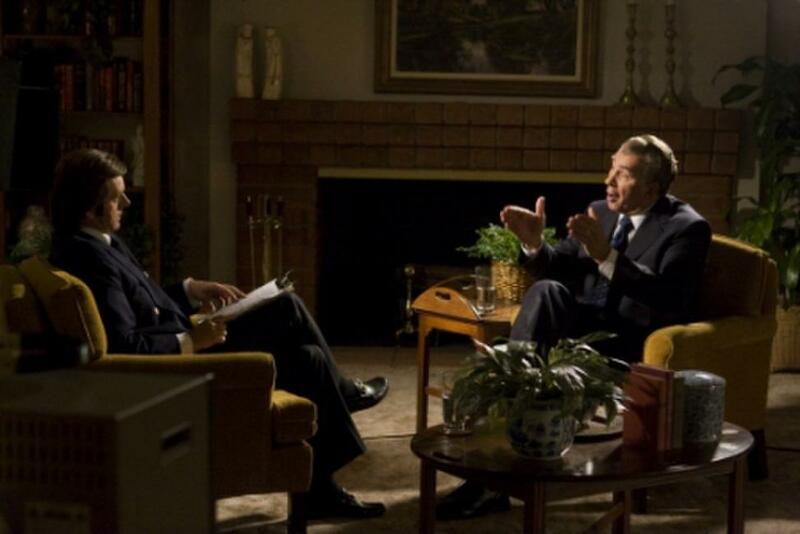 Director/Producer Ron Howard and Frank Langella on the set of "Frost/Nixon." 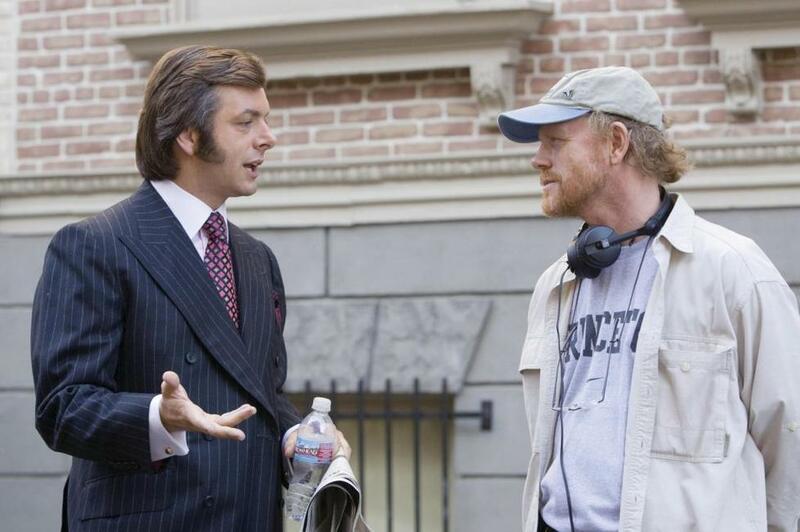 Michael Sheen and Director/Producer Ron Howard on the set of "Frost/Nixon." 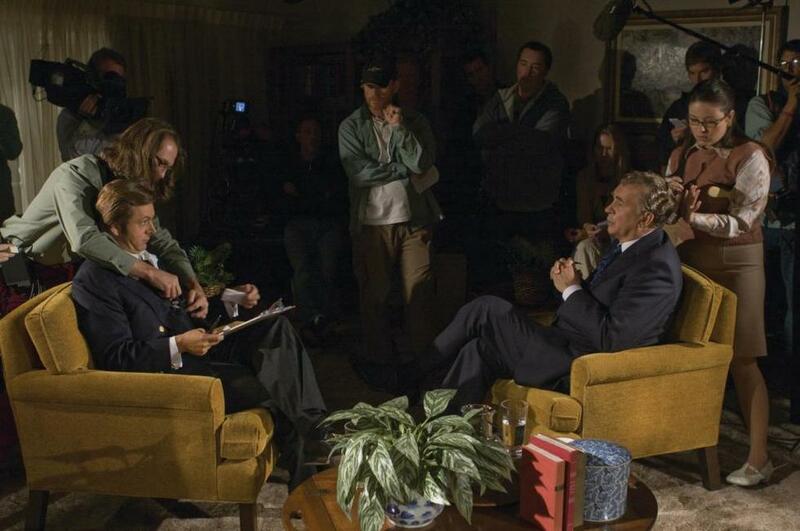 Producer Peter Morgan, Producer Brian Grazer and Producer Eric Fellner on the set of "Frost/Nixon." 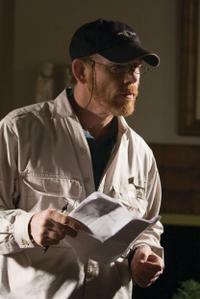 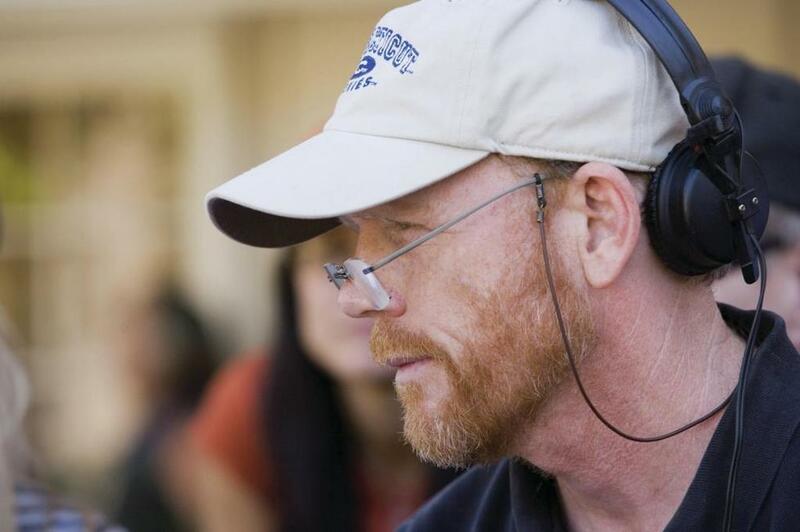 Director/Producer Ron Howard on the set of "Frost/Nixon." 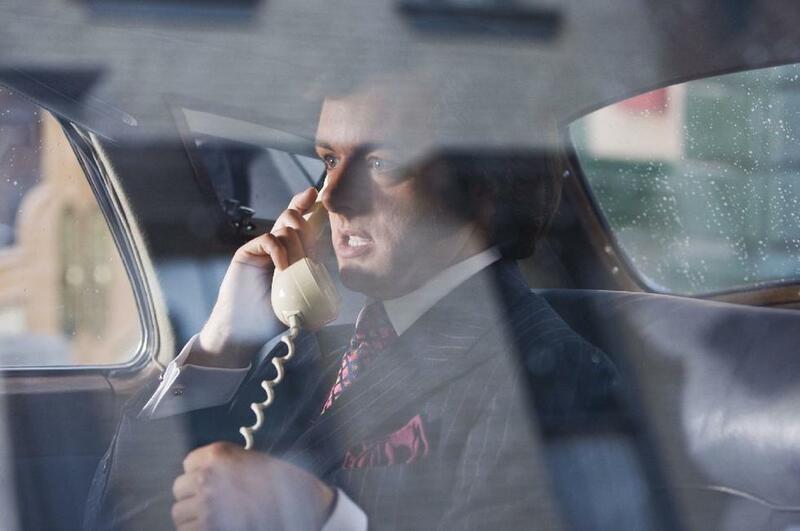 Michael Sheen as David Frost and Rebecca Hall as Caroline Cushing in "Frost/Nixon." 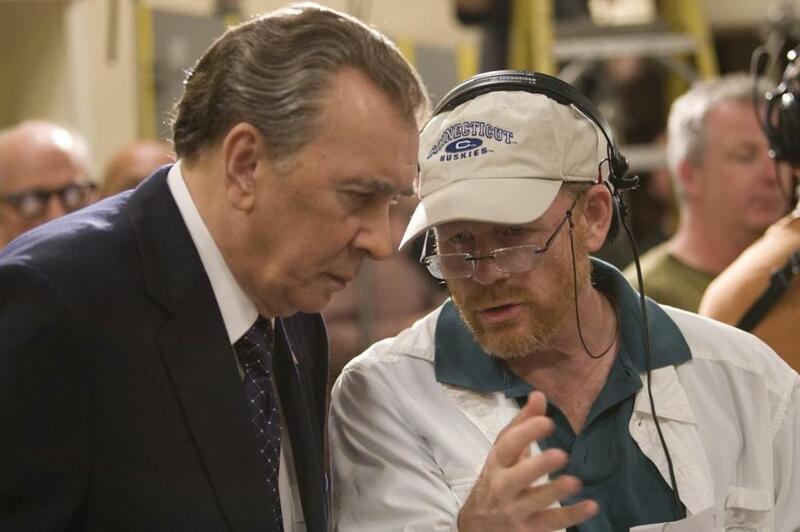 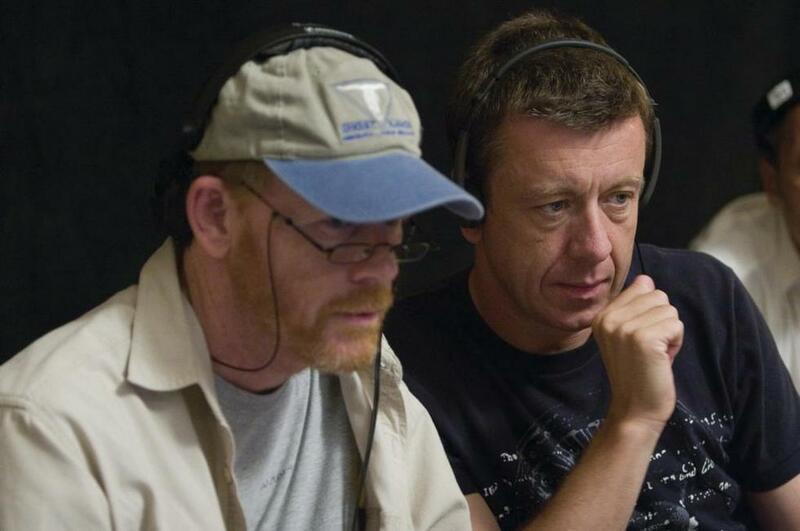 Director/Producer Ron Howard and Writer/Executive Producer Peter Morgan on the set of "Frost/Nixon." 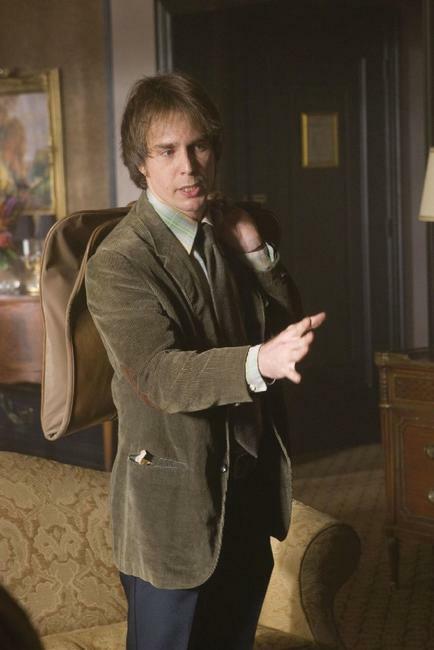 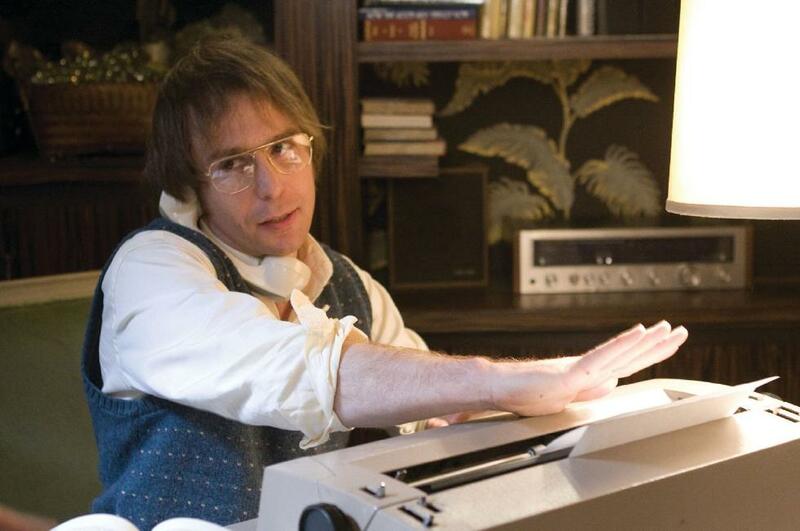 Sam Rockwell as James Reston, Jr. in "Frost/Nixon." 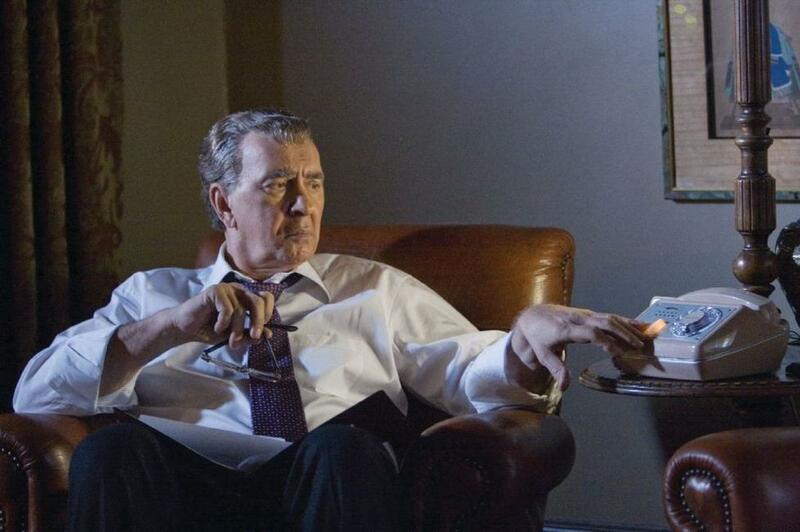 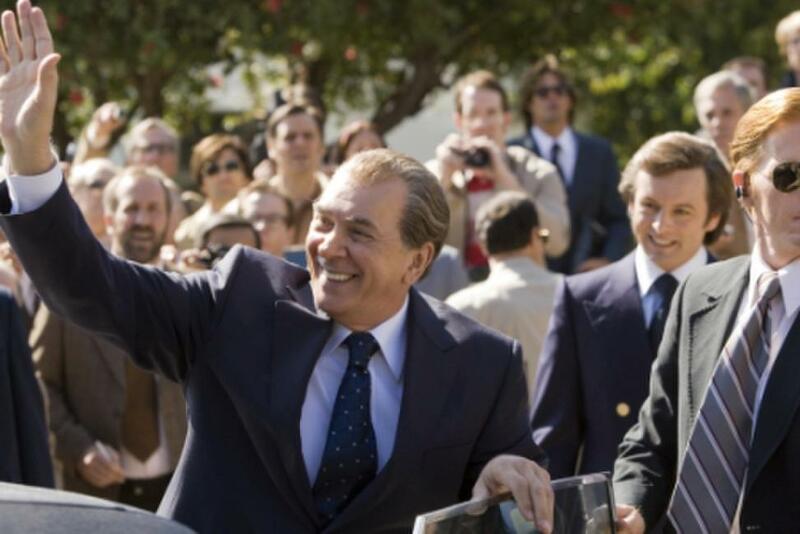 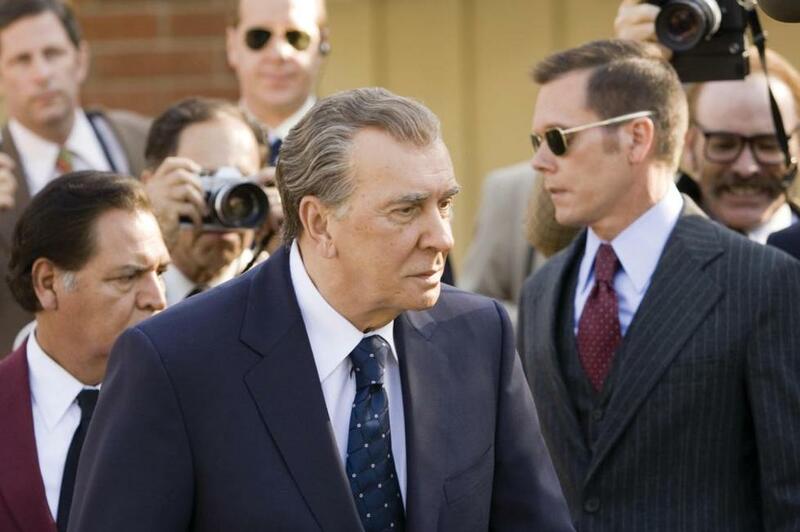 Frank Langella as Richard Nixon and Michael Sheen as David Frost in "Frost/Nixon." 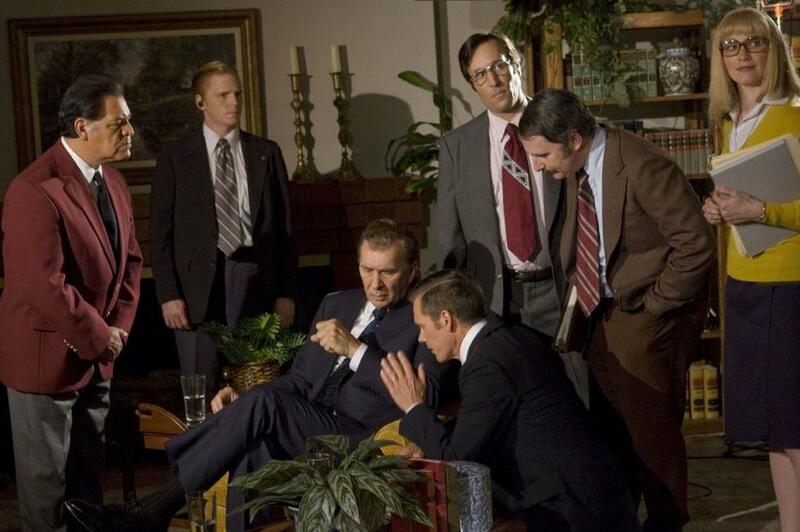 Gabriel Jarret as Ken Khachigian, Jim Meskimen as Ray Price, Andy Milder as Frank Gannon and Kate Jennings Grant as Diane Sawyer in "Frost/Nixon." 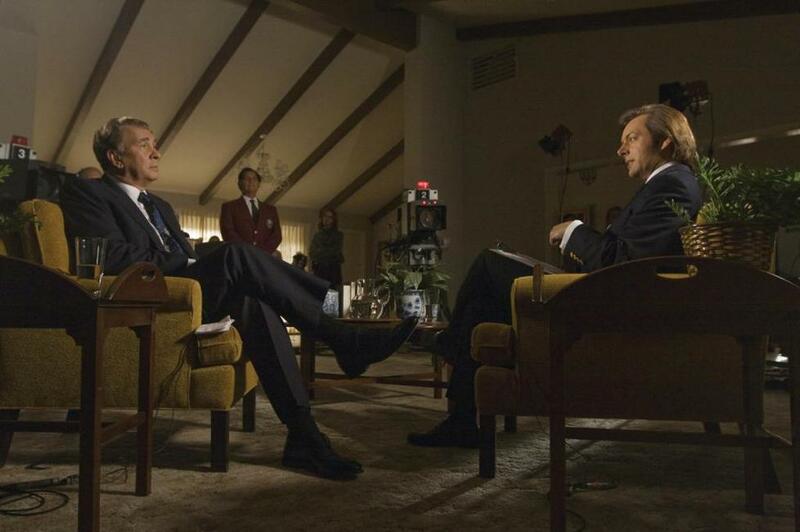 Michael Sheen, Director/Producer Ron Howard and Frank Langella on the set of "Frost/Nixon." 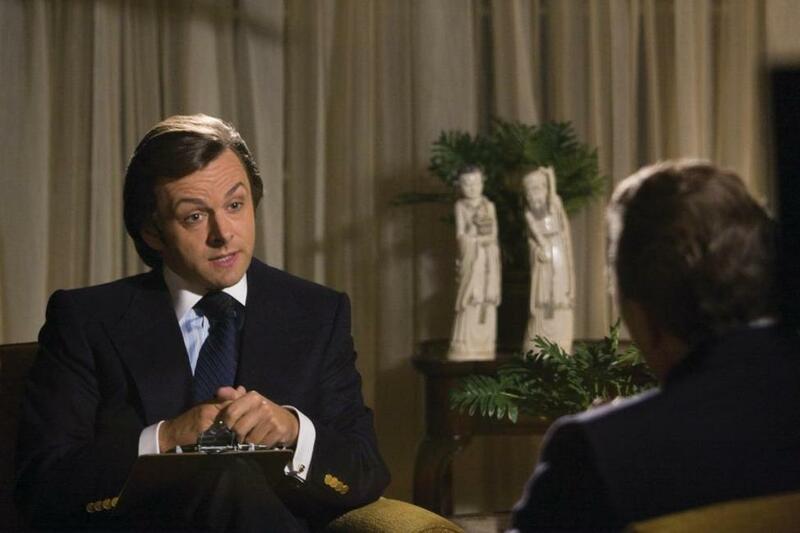 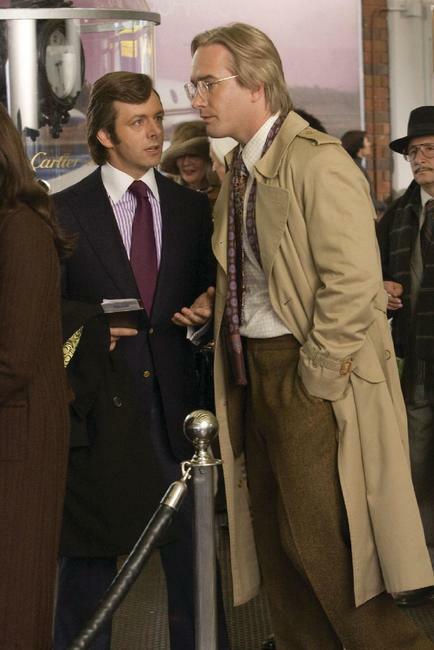 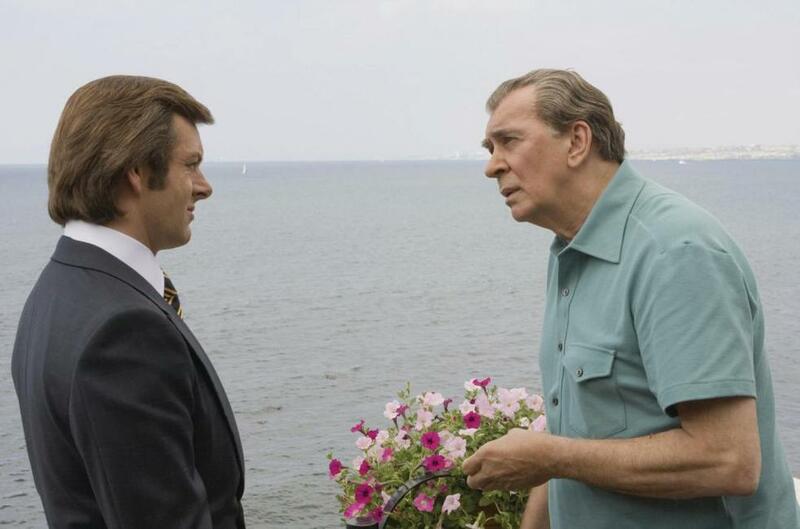 Michael Sheen as David Frost and Matthew Macfadyen as John Birt in "Frost/Nixon." 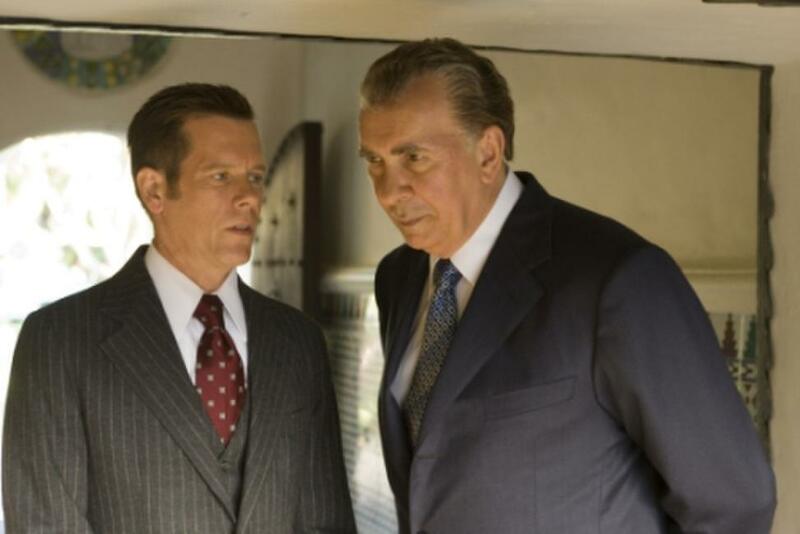 Michael Sheen as David Frost, Frank Langella as Richard Nixon and Kevin Bacon as Colonel Jack Brennan in "Frost/Nixon." 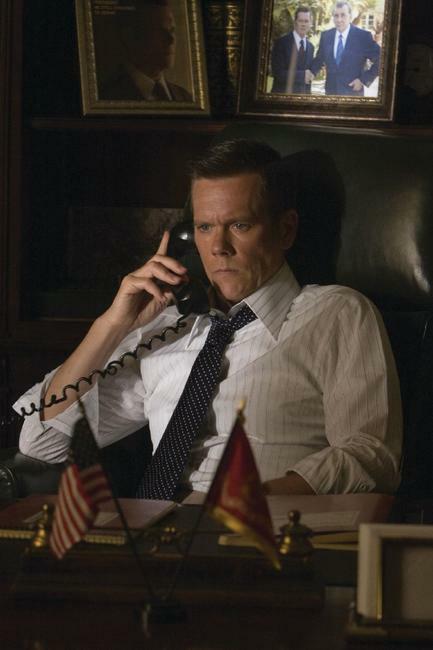 Kevin Bacon as Colonel Jack Brennan in "Frost/Nixon." 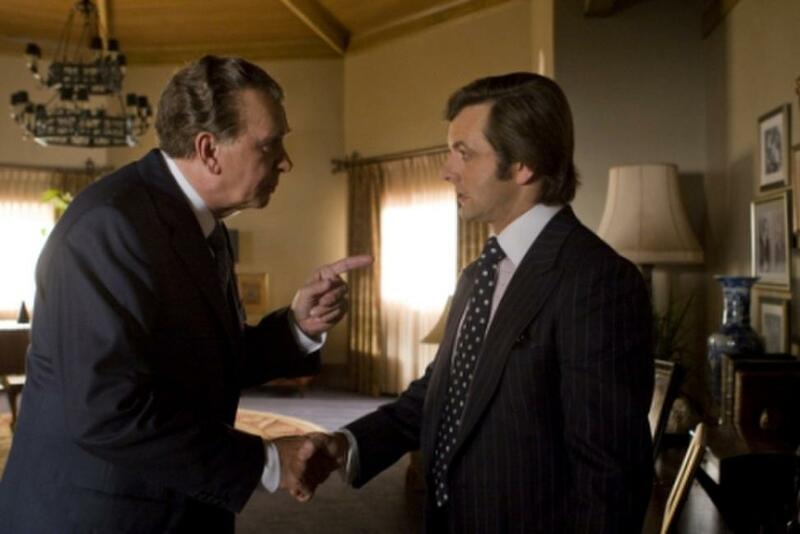 Toby Jones as Agent Swifty Lazar, Michael Sheen as David Frost and Frank Langella as Richard Nixon in "Frost/Nixon."